New Shrimp Bisque Available at Over 1200 Stores Now! NEW YORK, Sept. 12, 2016, SOUP, /PRNewswire/ — (OTC-PINK: “SOUP”) Soupman, Inc. (www.originalsoupman.com), makers of the best tasting slow-cooked small-batch soups in the world, announced today that it has shipped its newest variety, Shrimp Bisque, to a number of major grocery chains around the country including Publix, HEB, Acme, Shaw’s, Heinen’s, Fairway and more. Original Soupman soups are available on grocers shelf in the soup aisle, next to Campbell’s and Progresso, in Tetra Pak cartons which are environmentally friendly, shelf stable and designed to keep the product tasting great without preservatives. 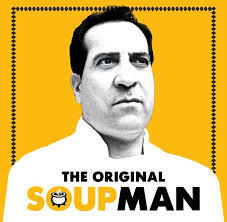 The Soupman will be making personal appearances across the country introducing his Shrimp Bisque with the first appearances starting in Manhattan on September 12th at Fairway at 550 2nd Avenue from 3pm-5pm and then at Gristedes at 1644 York Ave & 87th Street from 6pm-7pm. At the events he will ladle soup, take photos with fans and sign autographs. In 1984, The Original SoupMan® opened its doors at 55th Street & 8th Avenue in Manhattan and quickly became a worldwide destination. Rated #1 by Zagat’s and praised by the New York Times as “Art, not Soup,” our soups set the standard for innovation and excellence long before the famous “Seinfeld” episode made it a cultural icon. Larry Thomas, the actor who played the “Soupman” on Seinfeld is the face of our marketing campaign and makes TV, radio and personal appearances around the country as the “Soupman” on behalf of the company. Jamieson Karson, former CEO of Steve Madden Shoes, is our Chairman and CEO. Soupman Inc., is a fully reporting public company trading under the symbol SOUP. For additional information on our company please visit: www.originalsoupman.com. Follow us on Twitter @OriginalSoupMan and “Like” us on Facebook. 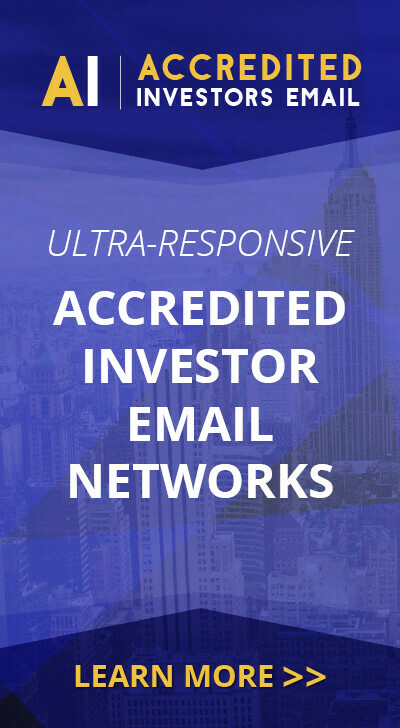 This press release may contain forward-looking statements within the meaning of Section 27A of the Securities Act of 1933 and Section 21E of the Securities Exchange Act of 1934. The forward-looking statements are based on current expectations, estimates and projections made by management. The Company intends for the forward-looking statements to be covered by the safe harbor provisions for forward-looking statements. Words such as “anticipates”, “expects”, “intends”, “plans”, “believes”, “seeks”, “estimates” or variations of such words are intended to identify such forward-looking statements. The forward-looking statements contained in this press release include statements regarding our ability to continue to grow Soupman’s brand presence. All forward-looking statements in this press release are made as of the date of this press release, and the Company assumes no obligation to update these forward-looking statements other than as required by law. The forward-looking statements are subject to risks and uncertainties that could cause actual results to differ materially from those set forth or implied by any forward-looking statements, such as our ability to implement our multi-channel distribution strategy and continue to grow our brand presence, raise necessary capital, and the risk factors discussed in the Business and Management’s Discussion and Analysis sections in our Quarterly Reports on Form 10-Q, Annual Reports on Form 10-K and Current Reports on Form 8-K. Copies of these filings are available at www.originalsoupman.com.